Two dapper pugs hanging out on the grass. Uh oh – Don’t ever interrupt nap time! So, usually this little guy is pretty nice, but you interrupted nap time! 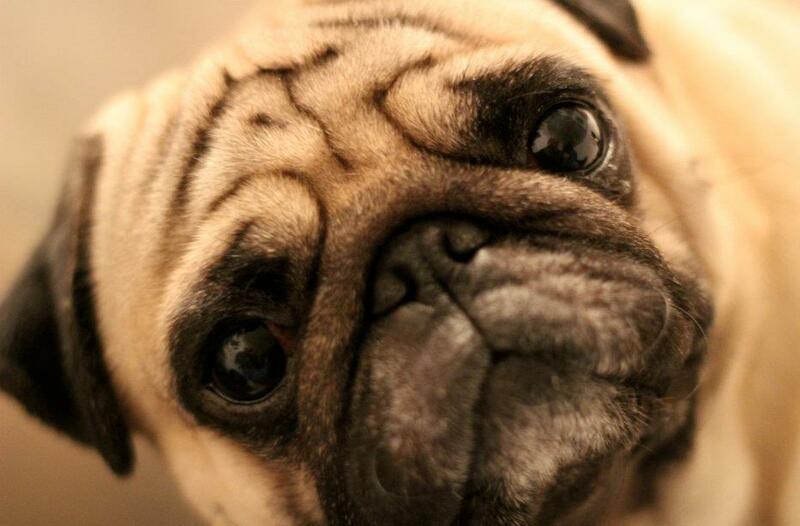 Now you must deal with a grumpy pug! 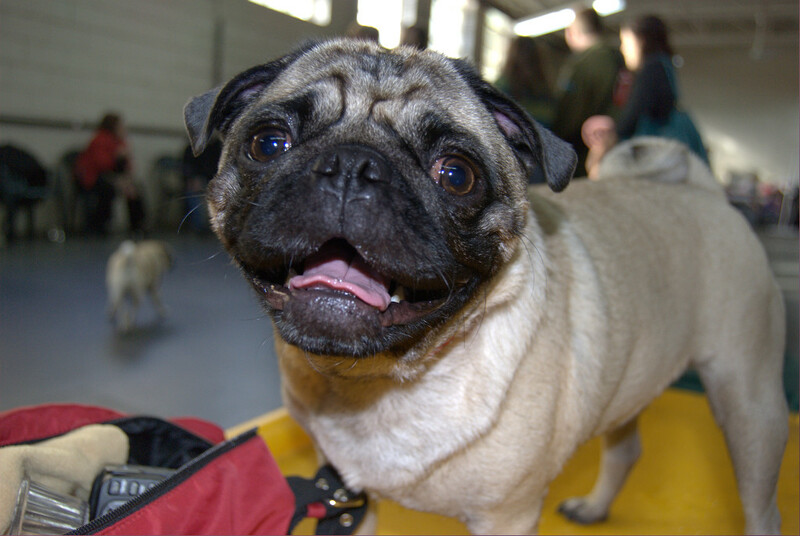 Cute and happy pug at a pug get together! 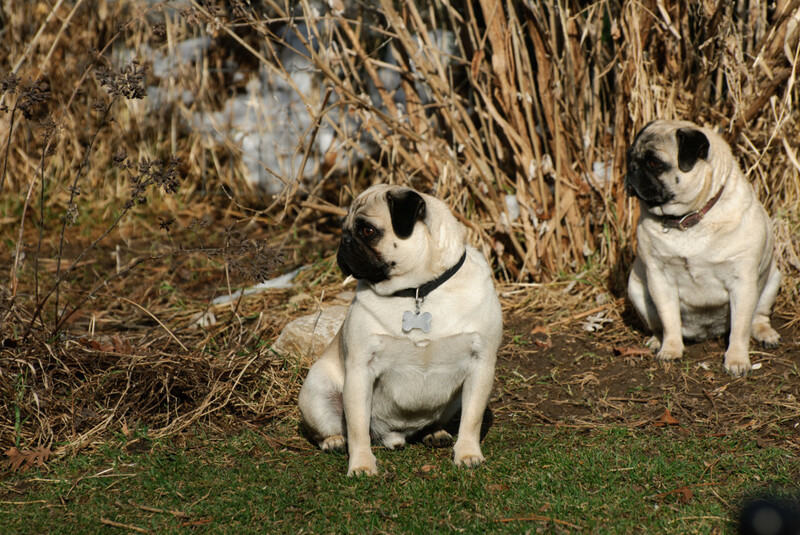 Pug pals are great to have, this one is thrilled to be there for sure! 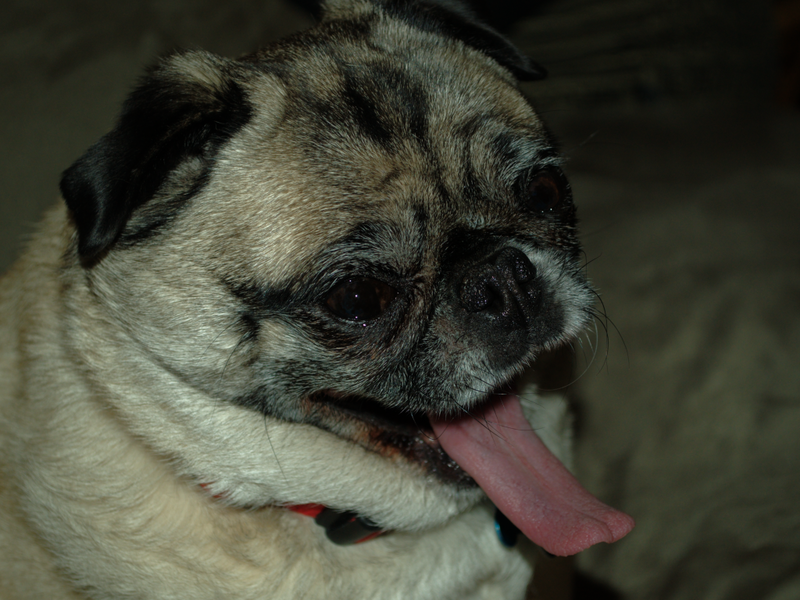 A sleepy Sunday – Big pug yawn! 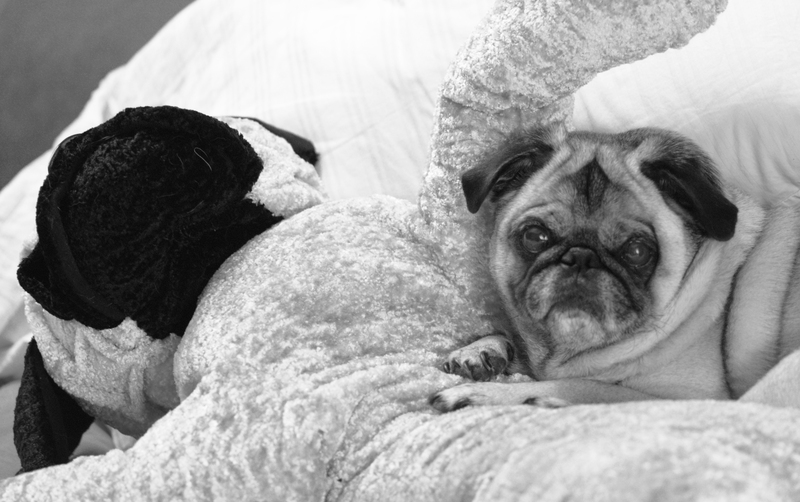 This adorably cute pug picture shows one sleepy little pug. Or maybe he is just really happy? 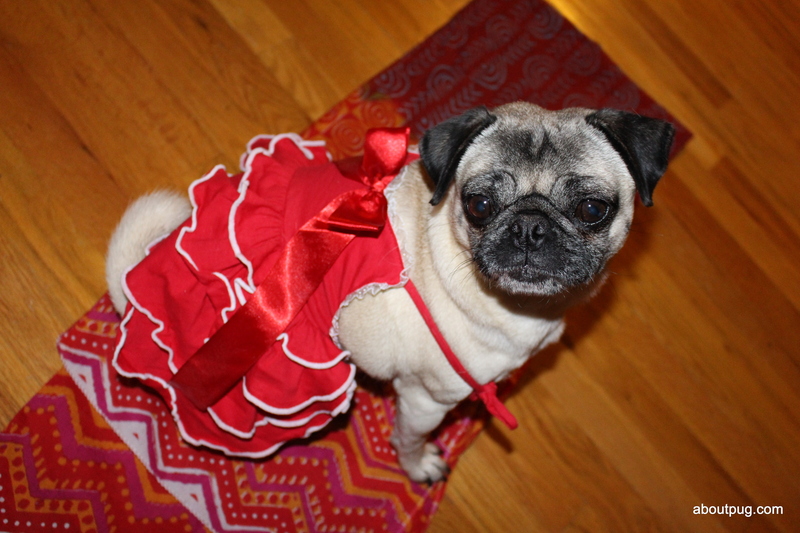 Nickie the pug wants to wish you a happy Valentine’s Day! 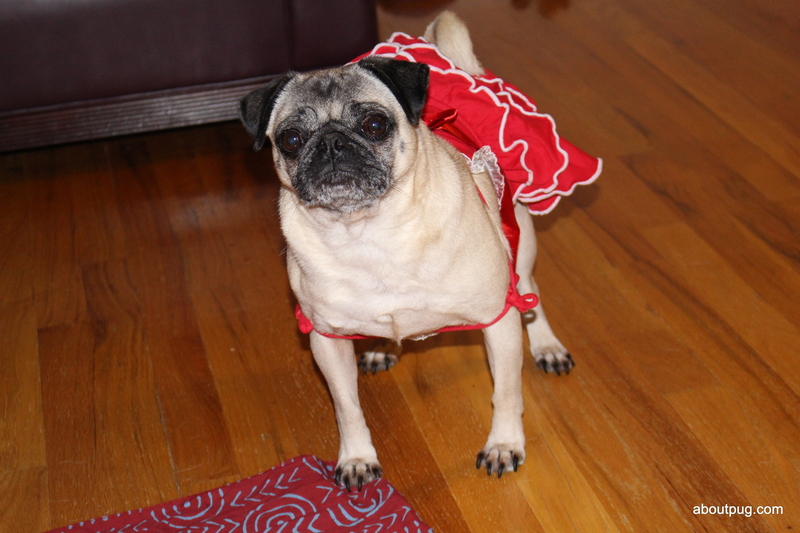 Nickie the pug wants to wish you a happy Valentine’s Day while showing off her new red dress. 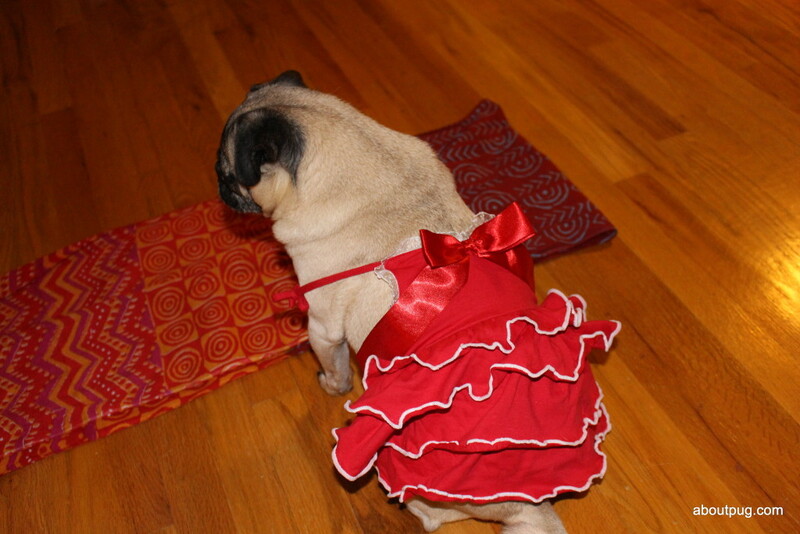 Have a fantastic day full of pugs and goodness! 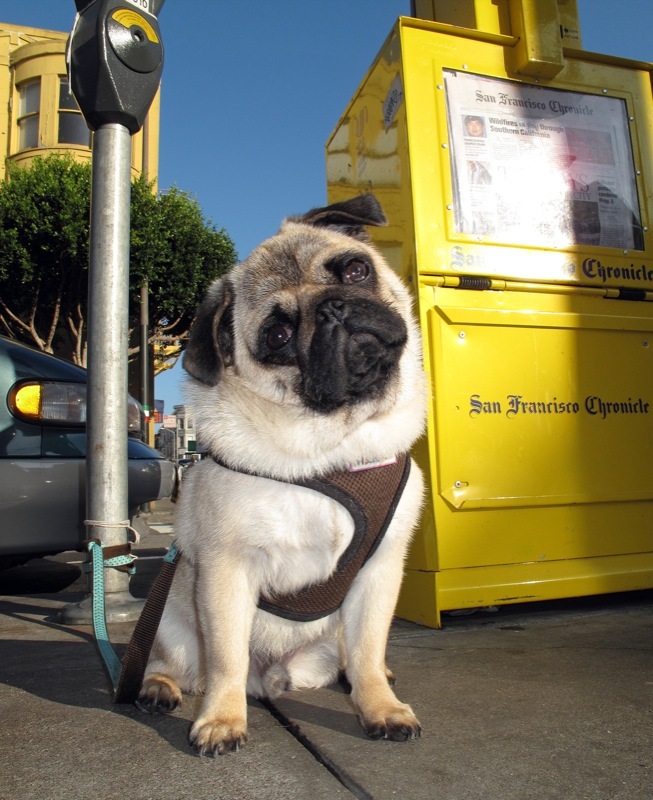 Did you put enough change in the pug parking at meter? 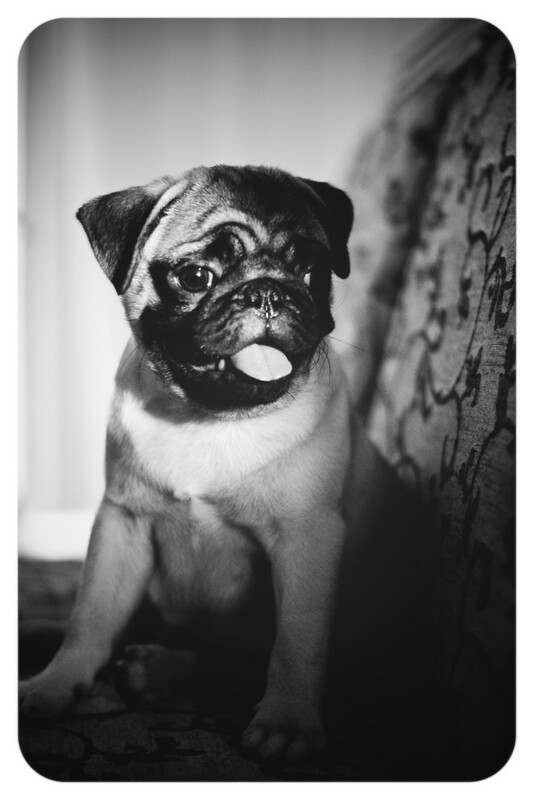 It looks like it was a nice day for this guy’s photoshoot – what a handsome pug! This adorable little guy has a lovely smile! 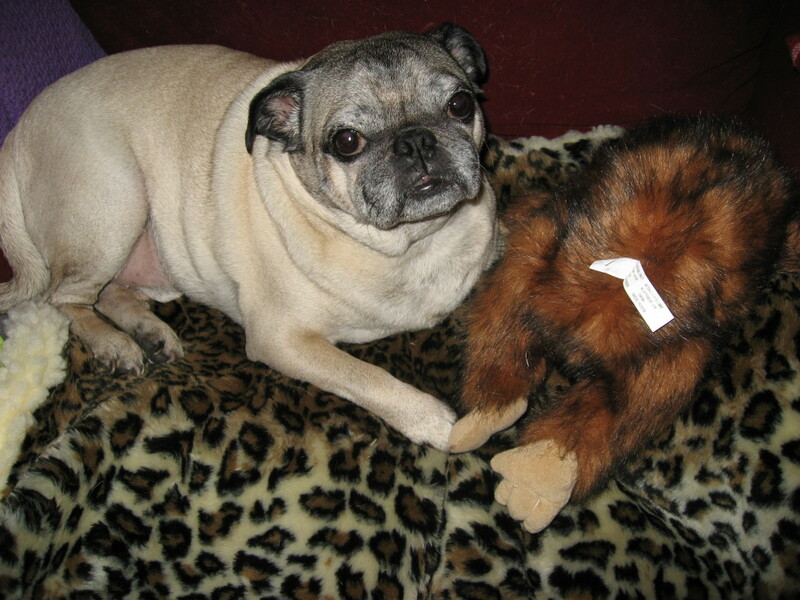 A cute pug and her monkey! 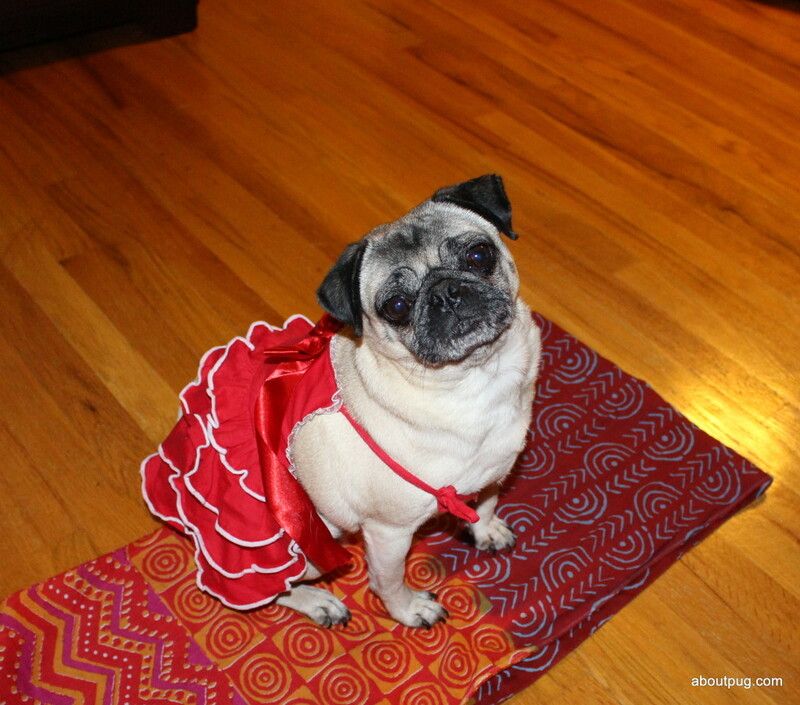 This adorable pug is just hanging out with her pal! 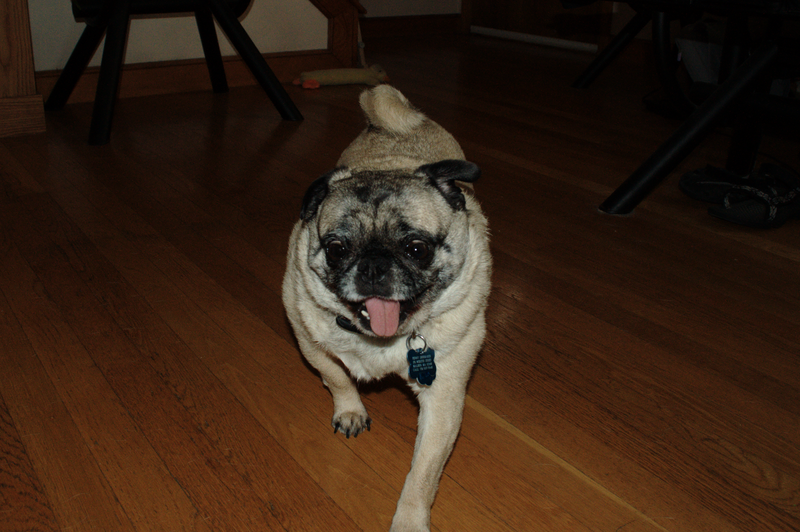 Charging towards those tasty, tasty treats! This pug is on the move!